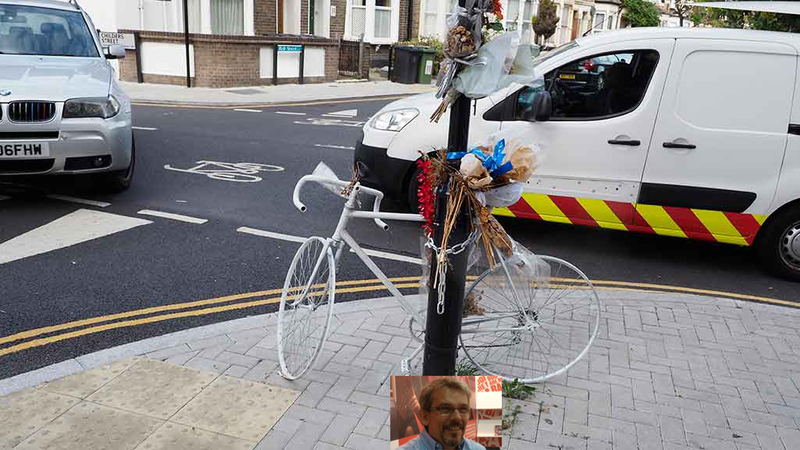 The ghost bike marks the spot, on London’s best ‘quietway’, where Antonio Marchesini was killed at 4.15pm on June 3 2018 in Deptford (at the junction of Childers Street and Rolt Street). If this is a ‘quiet’ way I’m an albatros. London’s ‘quietways’ are not quiet enough. TfL explain them as: ‘continuous and convenient cycle routes on less-busy backstreets across London’. They are on backstreets. But they not continuous, because there are so many unimproved junctions. Their convenience is for local trips: for longer ‘strategic’ trips most cyclists prefer to take their chances on the TLRN red routes. Nor are the Quietways safe. TfL state that cycle usage of Q1 rose by 56% from its opening in 2014 to June 2017. I guess this was from a low base and that most of the trips are local. 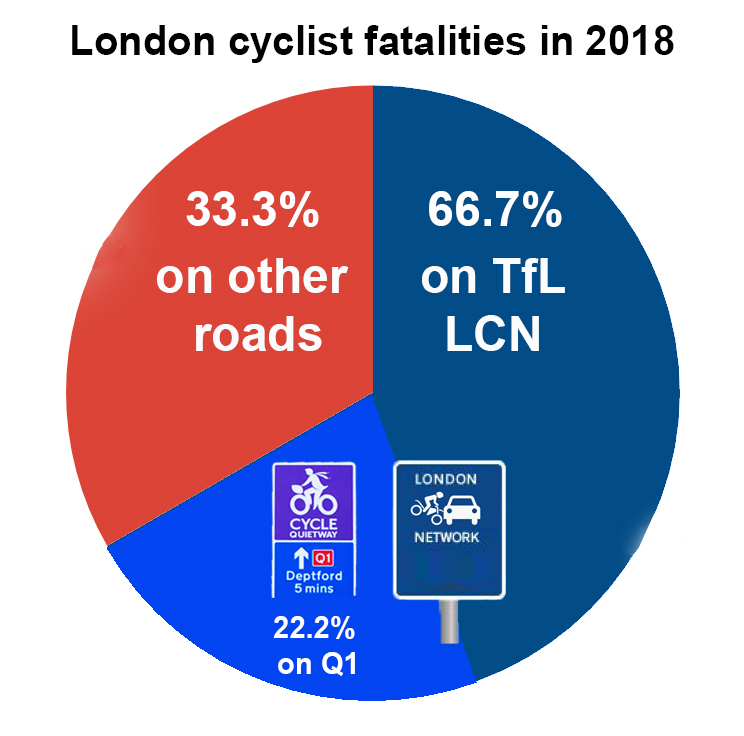 In 2018 22.2% of London cyclist fatalities were on Quietway 1. Citymetric comments that ‘Quietways are on the 95 per cent of London’s roads run by its 32 boroughs, which take a variety of very differing view on cycling. The result is an at times notional mixed bag of routes: some are little more than signage and painted bike stencils on roads, but they’re interspersed with good interventions, dependent largely on which borough boundary you just crossed’. A Thames Cycle Path that follows the river as closely as possible – as the Thames path walkway does.